MyMemories Blog: We're *Walking on Sunshine*! Hi there! 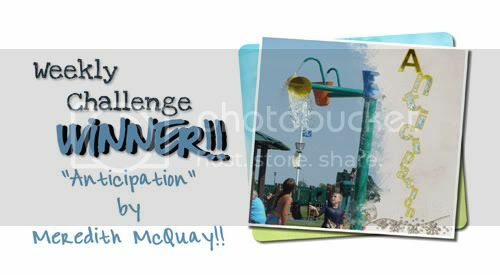 Welcome to the Wonderful Wednesday Challenge at the My Memories blog!! I hope you'll decide to play along! One page will be selected from the entries and the WINNER will receive a $10.00 Promo code to pick up some goodies in the MyMemories.com Design Shop! So check it out and send in your page! 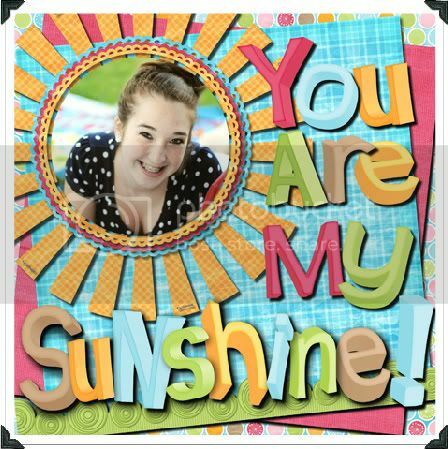 You can *use* the word SUNSHINE in your layout, or just show us a FUN sunshine-y day or WOW us with YOUR interpretation! Winner posted next week - so keep checking back! ... and here's last week's WINNER! Send me an email at LisaJ@mymemories.com to get the information you need to claim your prize! Here are the entries received so far - make sure you get yours posted to be entered in this weeks Challenge contest!!! Please try out the NEW EASY TO USE Linky Tool!! 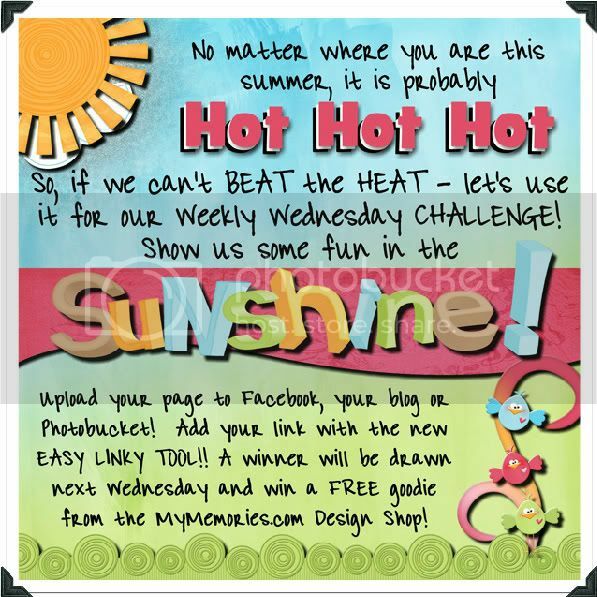 The *ADORABLE* kit that was used for this weeks challenge post header and sample page is the "Walking on Sunshine" template and "Sunshine Pack" from the *Amazing Ettes*!! Check it out!! ...and don't forget to make a memory today! Congratulations Meredith! Great page you did. Lisa, I love the "before" and "after" pages of Emily. Goth as equally cute! Lisa I love this so much. I have to smile everytime I see it! Thanks Linda - my "baby" just isn't a baby anymore - she's taller than I am now and driving my car! Sigh... but I still love my "Emily Sunshine" page! Thanks! Wow, so NICE to see so MANY pages on the challenge! I think this new linky tool is really working well. Thanks Lisa for finding a new friendly user one! I LOVE seeing so many inspirational pages here. It's a great resource page. Congratulation! These pictures are so beautiful and wonderful. I like them so much. Just like lock is the same for the car's effect, they are inseparable.